This morning I couldn't help smiling when I logged in my Facebook page. I saw a lot of pictures of my family and friends, dressing up their children in Thai costumes, and bringing them to "Loy Krathong". My little nephew looked so smart in his traditional costume. 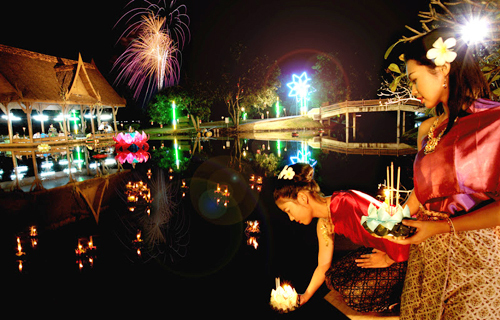 What is Loy Krathong??? The words don't give any hints, eh? Loy Krathong is a festival celebrated annually throughout Thailand in the evening of the full moon of the 12th month in the Thai lunar calendar. It usually takes place in November in the western calendar. 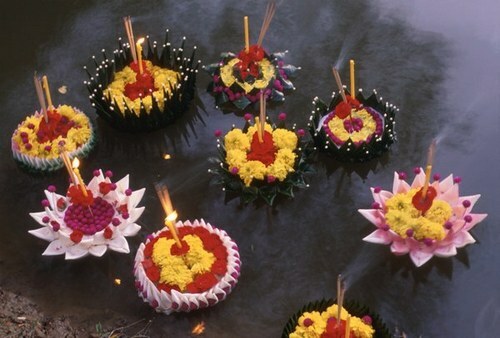 The word "Loy" means "to float" and "Krathong" refers to a lotus-shaped floating container, usually made of the trunk and the leaves of banana trees. A candle, 3 incenses and some flowers are inserted inside this container. They also produce krathong in styrofoam but people are invited to perfer the biodegradable ones. I'm thinking back in the old time when I and classmates created krathong in the class and we brought our krathong to float in a river with family in the evening. The atmosphere was always beautiful and enjoyable. Many locations or villages give out prizes for the most beautiful Kragthong and/or organise Beauty Contests too. 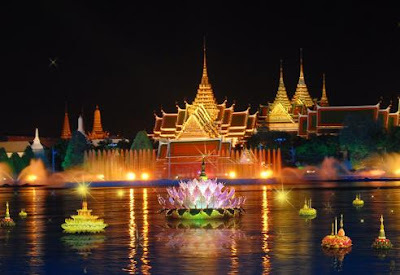 The picture above shows the stunning atmosphere of various beautiful Krathong in the Chao-phraya river, in front of the most important temple of Bangkok: "Wat Pra Kaew". Why we float the krathong? It has been told to be an ancient ritual to pay respect to the river spirits and to thank the Goddess of water (as water is essential to our life). People also claimed that floating the krathong symbolizes letting go of all one's hatred and anger. Some of them cut the fingernails or hair and place the clippings on the krathong as a symbol of letting go of negative thoughts. Thanks for sharing the story naja. I'm sharing it in my G+ too! thats so interesting. 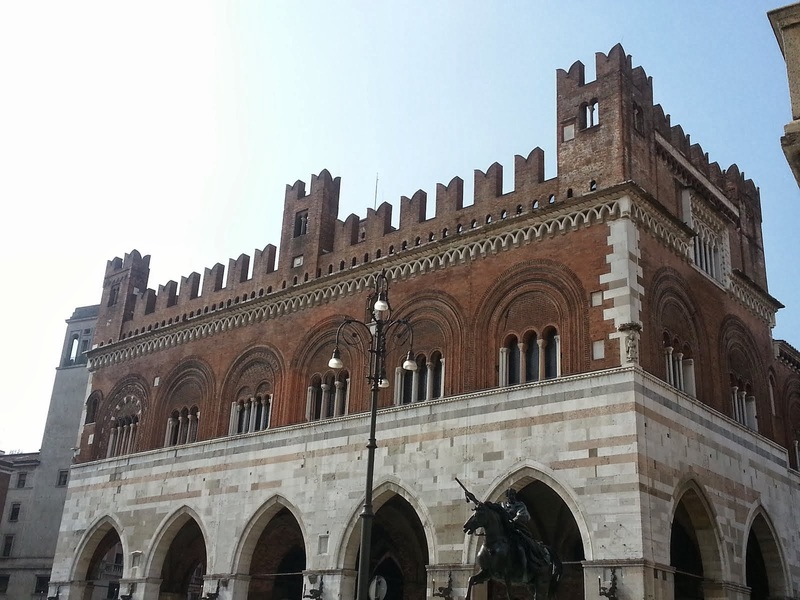 I live reading about traditional festivities and how they are celebrated! Many thanx Lalav, I too love to learn foreign festivities. I enjoy attractive ones in small locals too. Some suggestions for a good read!